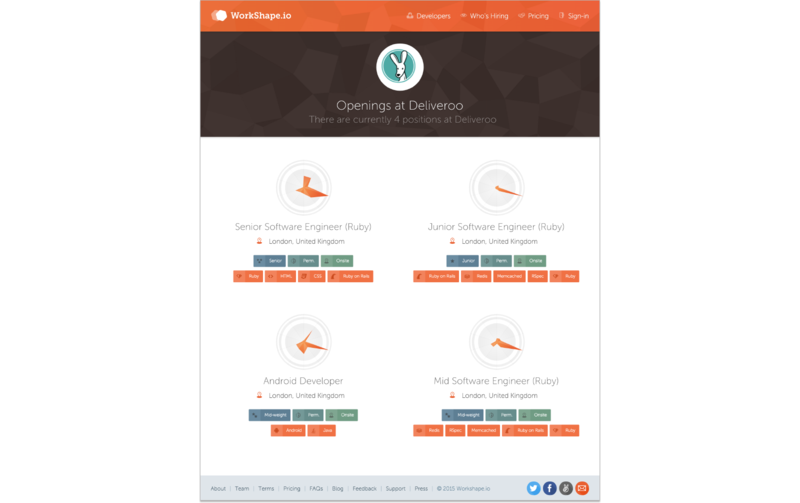 At Workshape.io, we are proud to be working with some of the best employers in the world. Our partnerships with companies such as TransferWise, Lyst, M&S Digital and many others from the UK and beyond rank amongst the proudest of our achievements. We couldn't be happier when we have the opportunity of showcasing these great companies to the wider world. Today, we're delighted to announce the official release of 'Who's Hiring?' 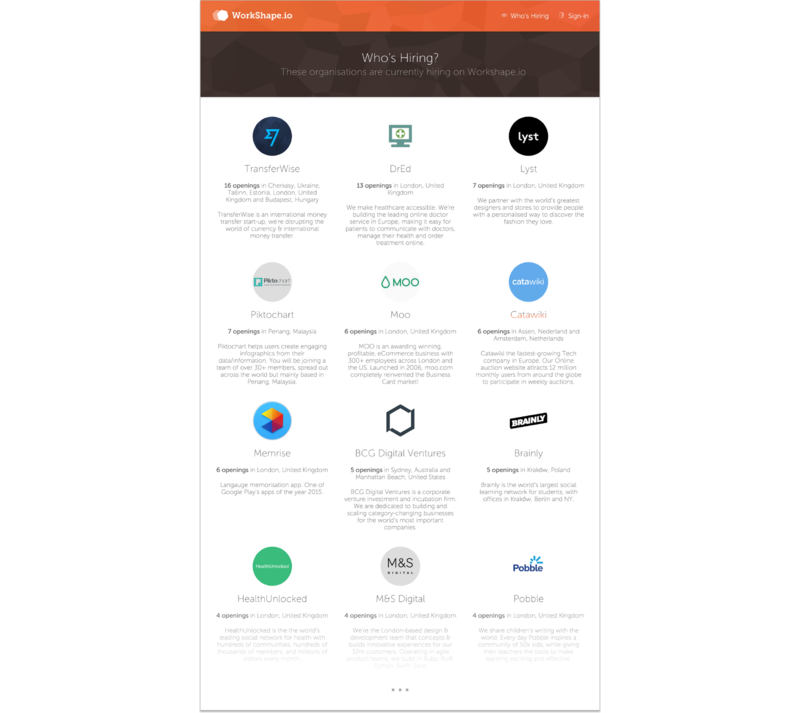 - a self updating list of our partners who currently have posted live jobs on the site. Check out the page here. Clicking on the employer logo's reveals the jobs that are currently live for that employer, presented in the Workshape way, using data visualisations to describe each opportunity in an easily consumable way. Each opportunity can be further explored by clicking the relevant Workshape in order to see further detail about the the job. 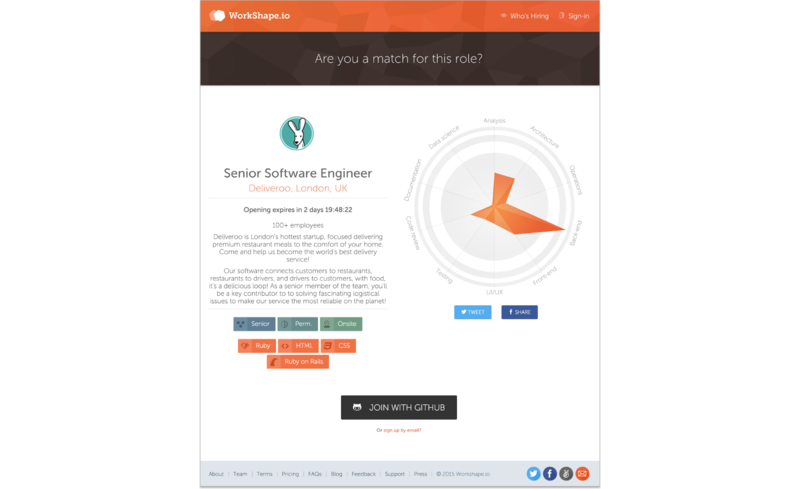 At Workshape.io, our mission to bridge the gap between people and employers. With Who's Hiring? we hope to have created a new digital space which allows emloyers to communicate their hiring needs whilst enabling developers to learn about the great companies we have active on the platform.